If someone you know is a bit under the weather, a quartet of creamy ice cream flavors makes a marvelous remedy. A scoop of "Chocolate Cure All" chocolate ice cream with chocolate chunks, along with a double dose of "Feel Better Bites" cookies and cream ice cream will add cheer to their day. 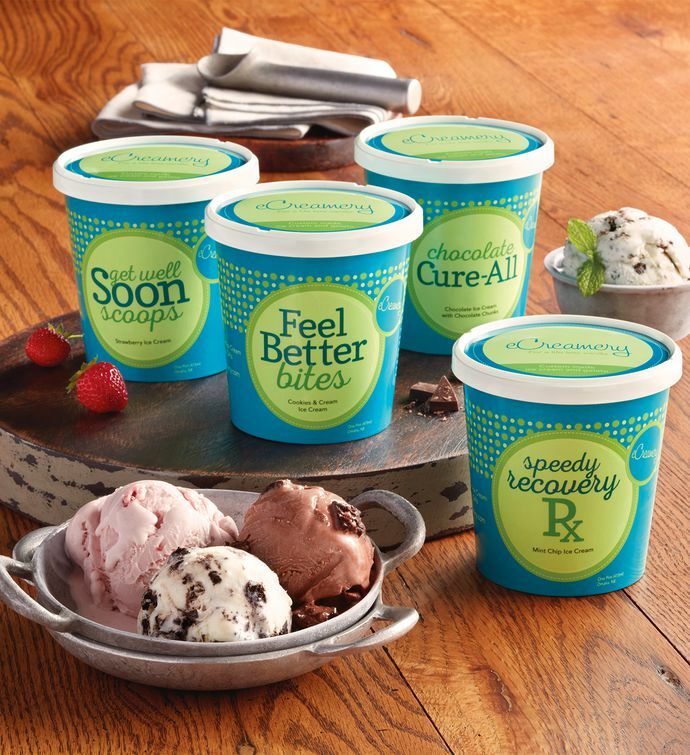 Sending an ice cream delivery is a great way to show your concern.